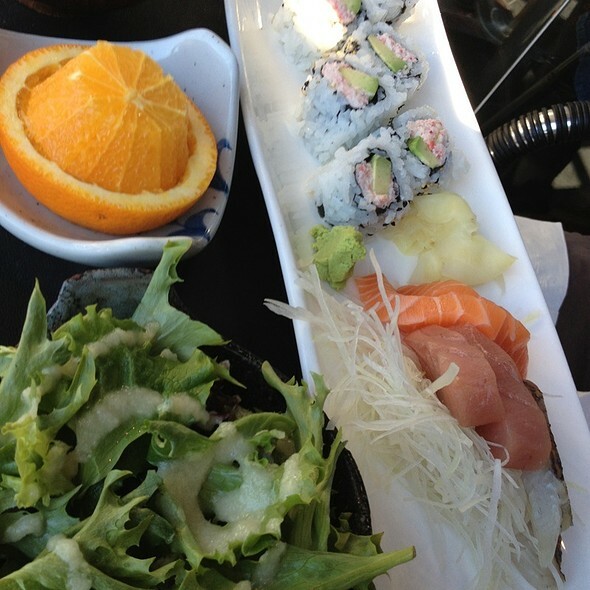 A sushi bar nestled in the quaint village of Montclair in Oakland delivers a menu which changes with the seasons based on it's core principals of using only the freshest, high quality fish while sourcing local and organic produce whenever possible. Hours are subject to change based on restaurant occupancy and business volume. 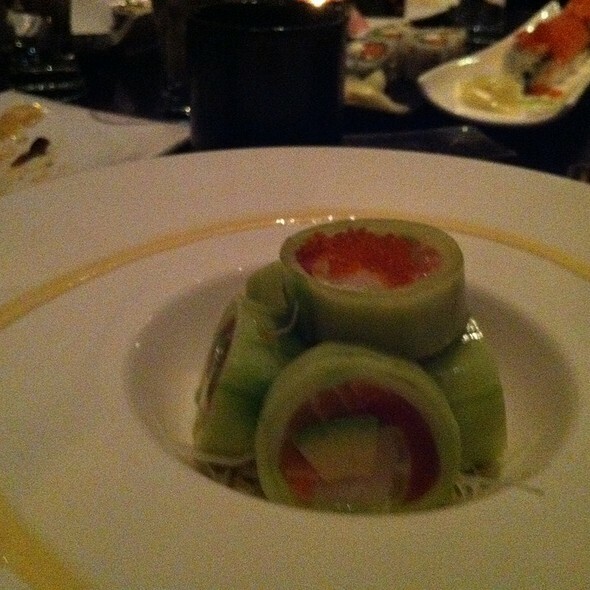 Excellent crab cakes as starter; fresh and delicious sushi and yummy miso soup. Great first experience. The squid was our favorite. Service was very good. We’ll be back! As usual, superb food, good service and a great meal all around. This time we had some salmon sashimi which was delicious..fresh and a nice amount for sharing, along with Kakui rolls, french roll, and a simple tempura California role. That, along with a beer and a carafe of the house saki made for great eating. We had dessert this time, which we seldom do....a lovely small half-coconut with coconut ice cream and a hollowed out peach with peach ice cream. Finished the meal beautifully. 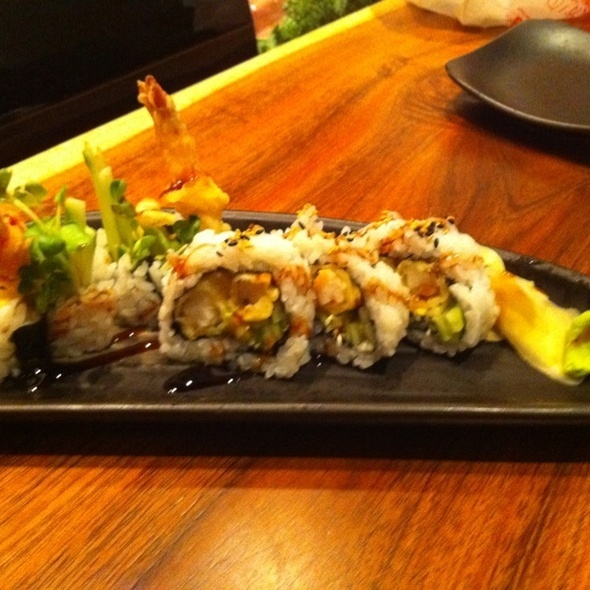 We have eaten at Kakui many times and we have never been disappointed in a single item we ordered. From the most simple piece of sashimi, artfully placed on a plate, to the delicious nigiri, the many sushi rolls, to the larger entrees and the very nice saki choices, we have been delighted at every bite. I recommend Kakui to all my friends and acquaintances. Good quality sushi, moderately priced. Service can be slow, meals arriving for part of the party much later than other part (there were 5 of us). The service is poor. The restaurant has gone to lots of take out orders so customers who have reserved tables receive slow and poor service. This restaurant has gone way downhill since it opened. Always incredibly fresh and delicious! 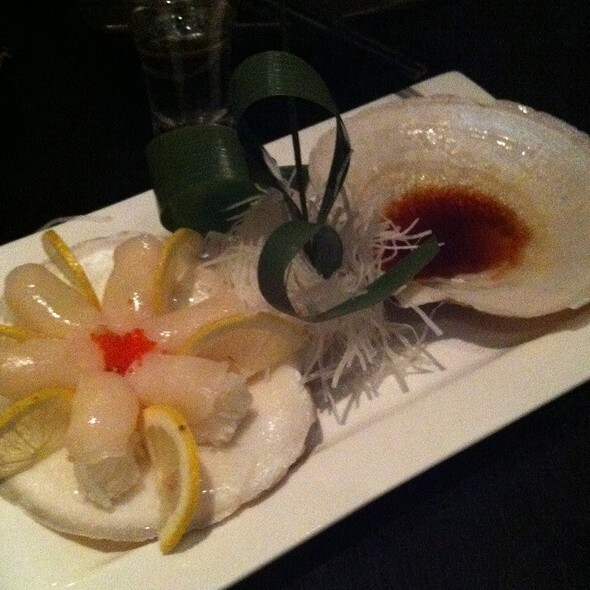 I had the Chef's choice Sashimi Yum! I have been to Kakui many times for dinner and always enjoy it. I had never been for lunch and took my friend who had never been to lunch to celebrate her birthday. It was perfect! The bento box lunches were delicious and fresh and allowed a lot of choice. Our server, Lucas, was the best server I've ever had at Kakui. He was friendly, helpful, a good listener and added a lot to the enjoyment of our lunch. I had mentioned it was my friend's birthday and Lucas brought us a complimentary mango ice cream dessert with a candle on the plate which capped off a perfect birthday lunch. Thank you Lucas! We'll definitely be back for lunch! I haven’t been to Kakui in years and it was a pleasure to dine there again. 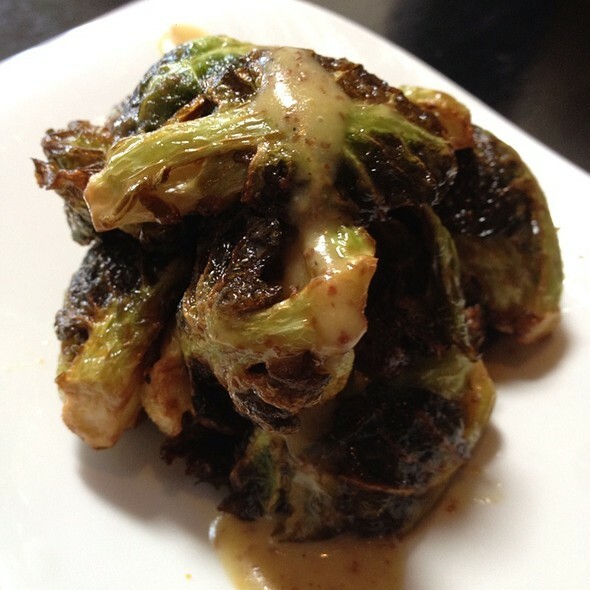 The food is consistently flavorful and delicate. Service was great, attentive and professional. Dishes can emerge unevenly if the restaurant is full, but the quality of the fish and its preparation is very high. Definitely worth the wait. Raw oysters had an exquisite Japanese version of mignonette. Sushi very good as always. I’d never tried truffle oil, and didn’t care for it on tomato salad, but maybe others would like it. I miss their salad with warm mushrooms, which was amazing. 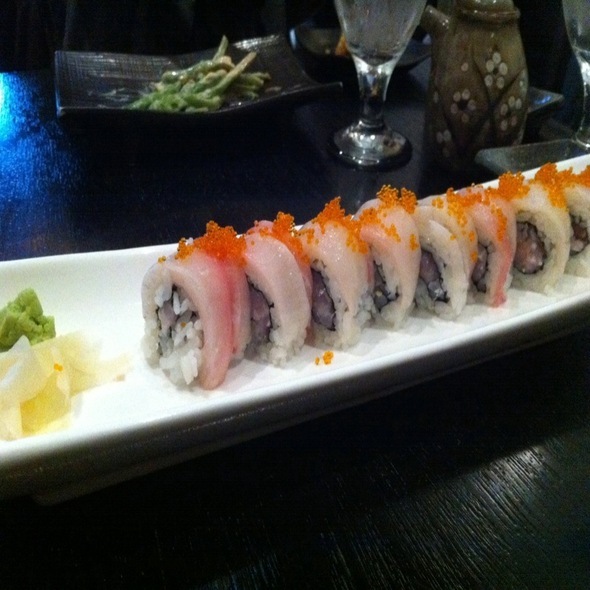 Kakui has fantastic sushi and rolls. I really enjoyed the dinner. The staff was a bit short-handed, and it took around 30 minutes to get our check. Nevertheless, I really enjoyed the food. Delicious food, friendly competent service. Can be a little slow when crowded but that’s because they make everything from scratch. Best sushi around. Kakui is a special place great fresh fish and they don’t rush customers out the door. We like Kakui, but lately their portion sizes are inconsistent. Some days, the pork belly dish is entree size and other days, it's like an appetizers (but price of an entree). We dine often at Kakui but the inconsistency makes it hard to figure out what to order. Excellent food, good service! What more could you ask?? We appreciated the Japanese cuisine that extended way beyond sushi (which is also excellent here). They had amazing entrees and salads, all using authentic Japanese ingredients and delicious. Service was great too. Great service and food. We love that it’s right here in our neighborhood. Delicious food in lovely setting with great service! i made the initial reservation on open table for 2 people and i tried to call and change the reservation for 4 people. when they answered and transferred me to the manager he put me on hold for over 7 min. until i hung up and called back 4 more times over a couple of hours and they never answered. When we arrived 15min early they told us we would have to wait at least 20 min. past our 7pm time even though they had at least 4 open tables for 4people that were only filled as we were finished and had paid the bill. The food and service were good once we got in and seated. Six of us had a lovely evening at Kakui this Thursday. It was not crowded so the noise level was low and the service was excellent. Fast, friendly and helpful. We had big beers instead of Sake and that was just fine. Had the agedashi dofu deep-fried bonito crusted tofu (great taste) and brussel sprouts karashi vinagrette for starters (if you close your eyes could could barely sense these were brussels sprouts). For mains we had buta abara pork ribs, aka miso sauce, avocado kappa salada (one of us does not do raw fish! 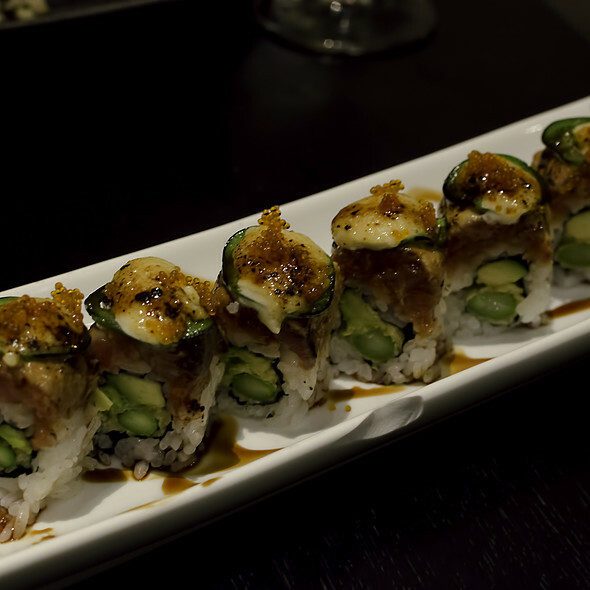 ), and sushi hamachi yellow tail, sake salmon (simply melt in your mouth), lion king california roll, topped with salmon, french sauce, jp roll shrimp tempura, tuna, salmon, white tuna, avocado wrapped with soy bean paper (delightful) and finally the dragon roll shrimp tempura, cucumber. Simply a great meal, will come more often. Never disappoints. The blackened cod is excellent; subtle texture and real smokiness. Love the selections of saki. Hard to stop ordering and eating. Late evening dinner coming from the airport. Amazing offerings of seasonal items- watermelon salad. Food was fresh and well presented. Will be back now we know of this gem in Montclair! Food so on point! Service is nice and friendly too. One of our favorite restaurants now for a long time in Oakland. Great food most of the time. Disjointed service from very friendly wait staff. Relatively inexpensive. Limited beer selections. 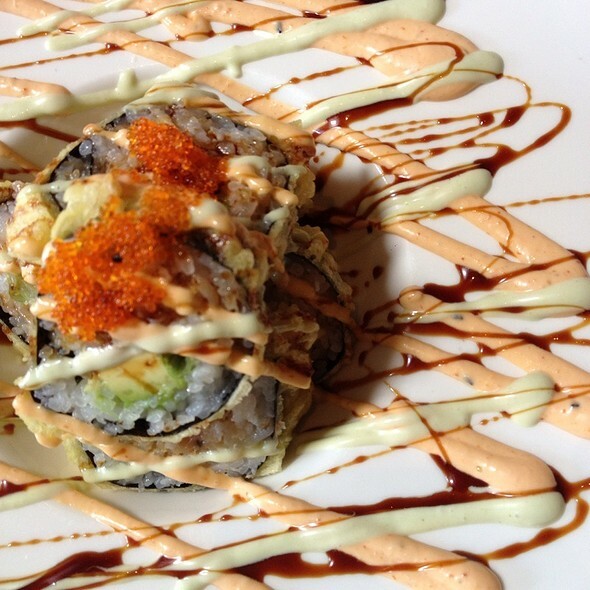 Great little sushi spot with outstanding food and menu options! Everything we tried (soup/gyoza/sashimi/nigiri/rolls) were delicious! We have been to Kakui numerous times and it is reliably good and quiet enough to have a good conversation with friends. We're so glad they're in the neighborhood. Montclair could use more restaurants of this quality. I like eating here as the fish is always fresh and very appealing and you can tell by the delicious taste—a lot of places may sell sushi and sashimi but you can tell this restaurant prides itself on the quality of their products. Two of us ordered chirashi and one person had one of the sushi rolls and the presentation and taste were very good. They also serve dishes like chicken teriyaki and tempura so there is something for everyone to enjoy at this restaurant. It is a tranquil place and a good choice for those who want to sit and chat. The "Closed" sign was still hanging out front when we arrived at 6 p.m. (Restaurant opens at 5:00 p.m.). Our table wasn't ready when we arrived. We waited while they wiped it down and set it. The edamame were soggy and extremely over-salted. The inari sushi was dry and not sweet enough, and it wasn't served until the very end of the meal when the other diners in my party had finished eating. The sashimi was twice the price of other local Japanese restaurants. We asked for 2 sake cups when we ordered a carafe of sake, but received only 1 cup, so had to ask again for the second cup. The food was way overpriced. I've enjoyed much better Japanese food for half the price elsewhere. I indicated when I made my Open Table reservation that this was a Birthday celebration dinner, but the restaurant didn't even mention or ask about that and did nothing special to acknowledge the occasion. We WON'T be back. We go here all the time. Good food, reasonable prices and good service. Kakui hits the spot every time. Quality + service are OUTSTANDING. 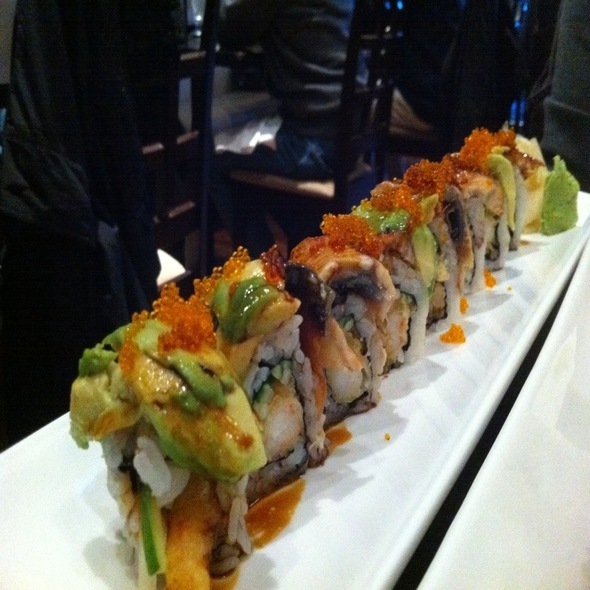 Best quality sushi we've found in the East Bay. third time I have been here and each time the service is very poor. Brought 6 people this time. Have to wait long time to get food and comes sporadically . Sometimes have to ask for them to remember. Five people working and tables only half full, yet poor service. Have to ask to get water refilled. Have to find someone just to ask to get tea refilled and then often not hot. Food was good when arrived. Must be another Sushi place in Montclair that is more responsive.